Generally, full-time employees are eligible after six months of service; part-time employees are eligible after completing one year of service. * No enrollment is necessary. You begin to accrue a benefit the first day of the following month. *Harris Williams employees do not participate in the PNC Pension Plan. Plan benefits are completely funded by PNC; you do not contribute. You automatically begin accruing a benefit after becoming eligible. The benefit you accrue is a quarterly earnings credit calculated as a percentage of your eligible compensation. The plan has a “cash balance” design, which means you accrue earnings credits and interest credits quarterly during the year. The benefit generally vests after three years of service. 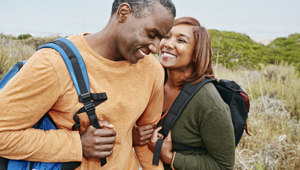 To learn more about eligibility, features, vesting and when you can receive plan benefits, please visit the PNC Pension Plan Summary Plan Description (SPD).